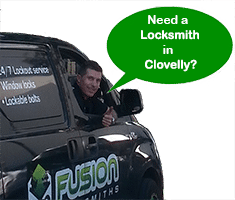 Your Clovelly Locksmith is Here to Help! beach, your security is top of the list to protect your family and valuables. But you can rest easy with your Clovelly locksmith here to help. We solve any lock issue or questions you may have. Being on the coast alongside nearby Bondi, Cloverlly falls into the Randwick area. Fusion Locksmiths take your security seriously. Leaving you with a feeling safety which is important for your well-being. Our locksmiths are also courteous and friendly, talking you through your problem and advising how we can help with a financially sensible solution. Fusion Locksmiths are local to the Eastern Suburbs allow us to reach you fast. Just what you need when you have locked yourself out at 2am in the morning. From keyless entry using pin code or keycard, to master key systems – no more carrying around a large heavy bunch of keys. Need a security system to really protect you family and valuables? We have quick to install and easy to use systems ready for you. Improve your security to the latest technology. All our solutions are designed to give you peace of mind in our modern world. With access to all the major brands in lock security, we can offer you many choices for your budget. As a local locksmith leader, all the Fusion Locksmiths are fully licensed, fully insured and police checked. We don’t muck around with your security for your home or business. 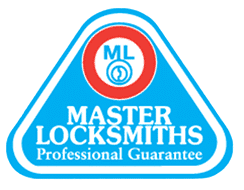 We’re also members of the Master Locksmiths Association of Australasia and keep up to date on all legislation and association standards. Every job we work on uses the latest hardware for reliability and safety. As a family run business, all our locksmiths are courteous, friendly and professional. 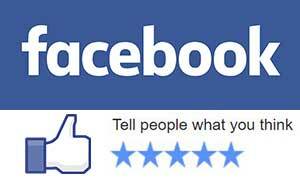 As locals, we want you to recommend us to your family and friends, so we try our hardest to do a sensational job, every time!